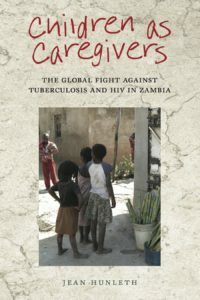 In Zambia, due to the rise of tuberculosis and the closely connected HIV epidemic, a large number of children have experienced the illness or death of at least one parent. Children as Caregivers examines how well-intentioned practitioners fail to realize that children take on active caregiving roles when their guardians become seriously ill and demonstrates why understanding children’s care is crucial for global health policy. Using ethnographic methods, and listening to the voices of the young as well as adults, Jean Hunleth makes the caregiving work of children visible. She shows how children actively seek to “get closer” to ill guardians by providing good care. Both children and ill adults define good care as attentiveness of the young to adults’ physical needs, the ability to carry out treatment and medication programs in the home, and above all, the need to maintain physical closeness and proximity. Children understand that losing their guardians will not only be emotionally devastating, but that such loss is likely to set them adrift in Zambian society, where education and advancement depend on maintaining familial, reciprocal relationships. JEAN HUNLETH is a research scientist in the Division of Public Health Sciences at Washington University School of Medicine in St. Louis, Missouri. View some of the children’s illustrations in the photo gallery or on Flickr (under construction).